Photo samples are prototype models of toys, which are painstakingly constructed by hand for use in promotional and packaging photography. 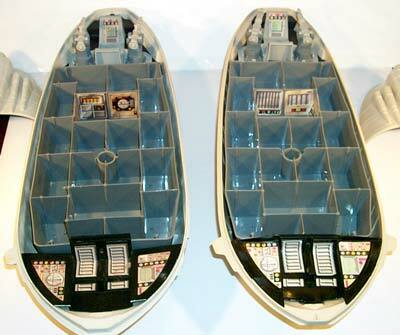 Generally, they were created in the Kenner model shop and then sent out to be photographed. For the most part, standard prototype terminology, including the terms hardcopy and first shot, cannot be easily applied to them, as they usually were creating using a variety of prototyping methods. Whereas some of their parts might be the result of a urethane casting process such as that which is used for hardcopies, others may be proto-molded, or injection molded in plastic using temporary aluminum molds such as the one seen here. But regardless of what each is specifically made of, the creation of photo samples required a lot of time. 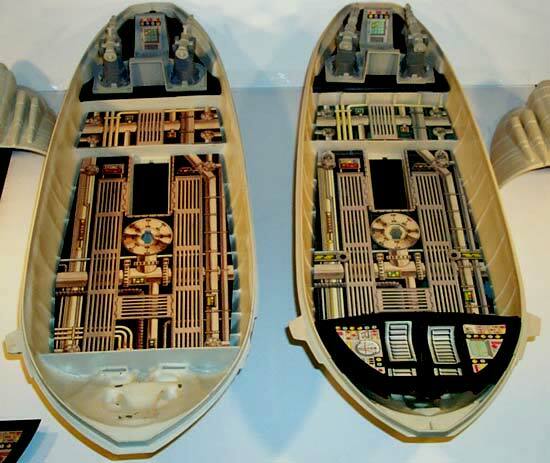 Since they may also be used in television commercials or at Toy Fair, they were often constructed as working models, meaning their various action features were functional. Developing a functioning system of gears or levers on the interior of the model was not an easy task for the folks designing and putting these things together. This model is, of course, of the Rebel Transport, a toy that Kenner released as part of their 1982 Empire Strikes Back line. 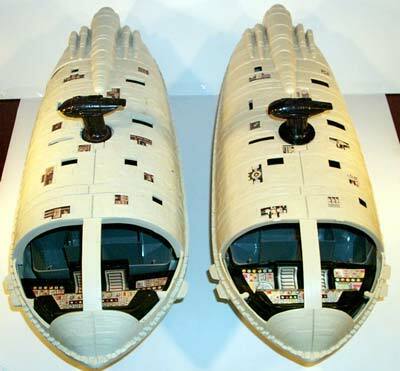 On the left you see the top of the model; on the right is its production counterpart. If you look closely, you'll notice the difference in the decals that are placed on the two toys. Here you see the two items with their outer shells removed. The storage tray of the photo sample is made of injection molded plastic. Once again, note the differences between the two sets of decals. This shot reveals the toys with their storage trays removed. If you look closely at the sides and bow of the photo sample, you'll see that they're much more roughly made than are those of the production item. The decals are again different. Finally, we have the removable gun placements of the photo sample (left) and production toy. The photo sample parts are, according to Vic, made of a urethane material. They differ from their production counterparts in many signficant ways, including the bumpy texture which is evident on their flat base. It's hard to get a good idea of what this photo sample is simply by looking at photos. However, there's no doubt that it's a significant prototype piece. 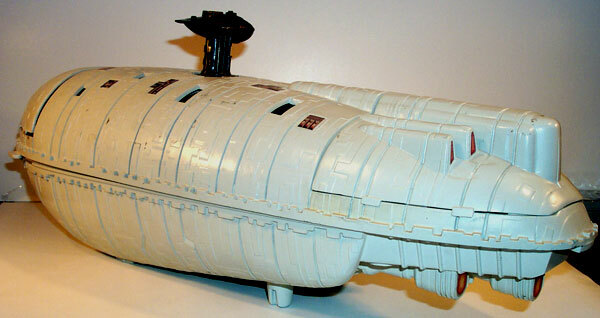 In all likelihood, it is the model that appears in Kenner promotional literature concerning the Rebel Transport (including the reverse of the ESB 48-back blister card); it may even be the very model that was photographed for use on the toy's package.